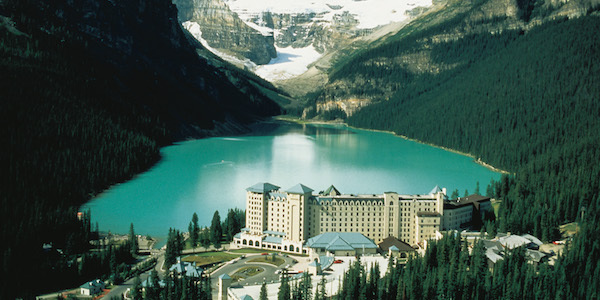 It’s without a question that the Fairmont Chateau Lake Louise deserves its reputation as grand dame resort. Situated in the heart of Alberta’s Banff National Park within a UNESCO World Natural Heritage site, surrounded by soaring mountain peaks, the Victoria glacier and the emerald colored Lake Louise it was built more than a century ago. Originally designed as a base for outdoor enthusiasts, the Fairmont Chateau Lake Louise has evolved into a luxury mountain resort and top bucket list destination for travelers worldwide. Guests come to enjoy endless outdoor activities, including world-class skiing, snowshoeing, skating, guided hikes through Banff National Park, mountain biking, and canoeing as well as a luxurious day spa, exceptional dining experiences and upscale accommodations with gorgeous views of the surrounding mountains and the lake. Now, let’s pause for a moment and reflect on what we’ve got here: breathtaking natural scenery acknowledged by UNESCO for its exceptional beauty, world-class outdoor adventures and a historic hotel that blends old world charm with refined luxury and unrivaled service. Can a vacation get any better than that? Yes, it can. For several years the hotel has offered wellness programs that add a sense of Zen and mindfulness to the magical setting of the hotel. The program featured yoga and mindfulness retreats under the direction of Tracey Delfs, passionate yoga and mindfulness instructor and long-time student of world-renowned Zen and mindfulness master Thich Nhat Hanh. Additional program highlights included photography workshops and tours, as well as adventures with Casey Anderson, wildlife naturalist, host and executive producer of Expedition WILD on National Geographic’s WILD television channel. The wellness program obviously struck a chord with the hotel’s international guest base. Although launched in a quiet, elegant manner without a lot of media buzz, the retreats didn’t go unnoticed and sold out quickly. Not a surprise. Time has evolved into a new luxury and with limited vacation time more and more people are looking for holistic travel experiences that leave them invigorated and renewed physically, mentally and spiritually. A new generation of travelers expects resorts to provide well-rounded programs that cover a broad spectrum of activities ranging from high-energy fitness classes and outdoor adventures to meditative, introspective classes that help guests stay in the moment and enhance their precious vacation experience. For this coming season, the Fairmont Chateau Lake Louise decided to top up its wellness offerings by adding more variety and bringing in renowned health and wellness professionals as retreat facilitators. Under the motto “Reclaim Your Health” a new program spearheaded by Dr. Eva Selhub, renowned mind-body expert, medical doctor and resilience coach, will address four pillars of optimum health and wellness: Stress Management & Resilience, Nutrition & Fitness, Authentic Happiness & Creative Flow and Mindfulness & Spiritual Awareness. The program will feature a number of wellness retreats throughout the year, each one focusing on a specific aspect of health, wellbeing, and happiness. Guests looking for centering, holistic wellness experiences that complement their stay in a truly breathtaking and spectacular setting do well to inquire about availability in time…space is limited and retreats book out quickly! 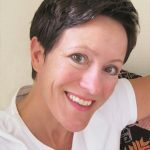 Ulli Lagler Peck is founder and owner of The Wellness Agency, a travel consulting firm that specializes in design, management, and marketing of wellness retreats. The Wellness Agency works with hotels, resorts, and spas around the world and helps them implement high-quality, authentic wellness programs that provide proven benefits for their guests’ health and wellbeing. Ulli firmly believes that wellness retreats open doors to a healthier, happier way of life and that everyone should attend at least one wellness retreat once a year.